Posted May 22, 2018 by Cultbox News & filed under Headlines, News. Jake Gyllenhaal has been linked to the villainous role of Mysterio in the sequel to Spider-Man: Homecoming. If he did land the role, he would join an impressively A-list collection of actors that have battled Tom Holland’s young Spidey: the previous solo film had Michael Keaton as the Vulture, and the Avengers: Infinity War crossover movie had Josh Brolin as Thanos. The actor, who showed a greasy and garish side in Nightcrawler a few years back, is apparently in talks to join the Spider-Man: Homecoming sequel as Mysterio. This isn’t a done deal, then, but it could well become one in the near future. Mysterio, created by Stan Lee and Steve Ditko in 1964, is a special effects genius who uses high-tech illusions to commit crimes and cause havoc for Spider-Man. His real name is Quentin Beck, and he wears a rather unique costume – with a fishbowl over his head – while in his supervillain persona. 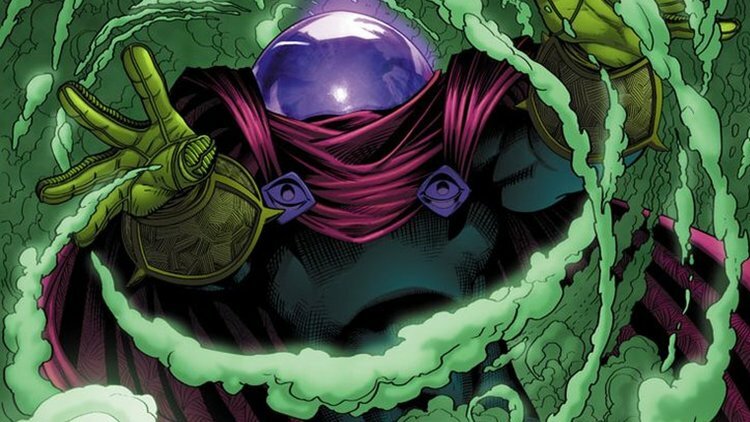 It will be interesting to see how the costume team adapt Mysterio’s look onto the big screen. It was cheesy enough in the comics, and the live-action format might not work for a direct and faithful adaptation. We thought the same thing about The Vulture last time around, though, and the costume department delivered an outfit that looked modern and feasible without completely throwing out the original comic book design. Here’s hoping for something similar this time. Jon Watts, director of Spider-Man: Homecoming, is returning to call the shots on its sequel. Writers Chris McKenna and Erik Sommers, who worked on the first movie, will also be back. The as-yet-untitled Spider-Man: Homecoming sequel arrives in cinemas July 2019. We’ll keep you posted as more news comes to light.